Silly indeed. Lol. Thanks re: photo. I actually set this post on Sunday night but it didn’t post. Just noticed it wasn’t up. This is one of my favorite Wordless Wednesday’s. My favorite season is spring, then fall but I love this picture, it’s perfect no matter the season. Thanks. I loved it, too. 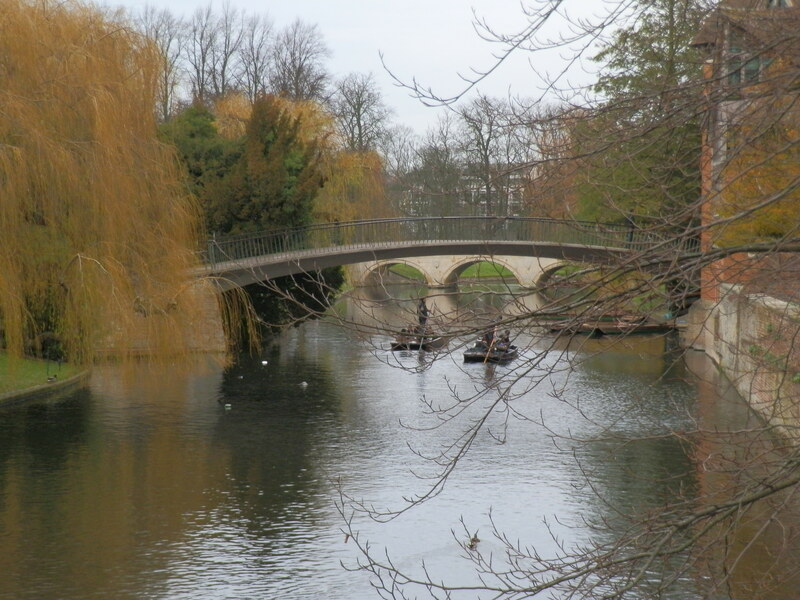 I took it on the River Cam in Cambridge, UK on December 22. Means a lot that it’s a fav for you!! THANKS! Another Winner. I love it. Bridges make for good pictures. Thanks for sharing another great picture. I’m a day late, but oh, it was so worth seeing it! It looks like something that should be on a postcard. That’s the kind of place I’d love to sit near and just enjoy. It looks so serene and peaceful. Thanks. It was a beautiful place and I’m glad I captured it in such a way that it spoke to you. It was sooo cold that day and I think it almost looks super cold- but that may be just my memory seeping in. LOL!